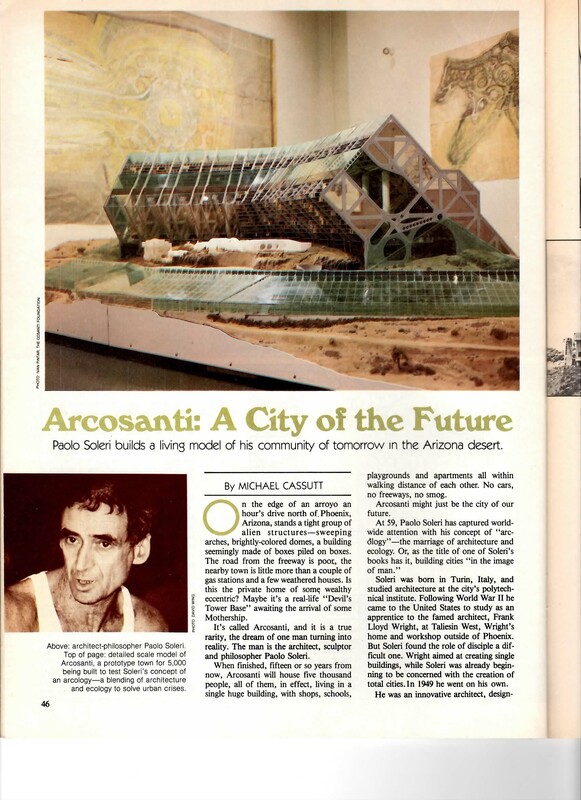 I learned a few days ago that visionary architect Paolo Soleri passed away on April 10th at age 93. 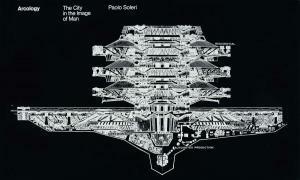 I’ve posted about Soleri before. 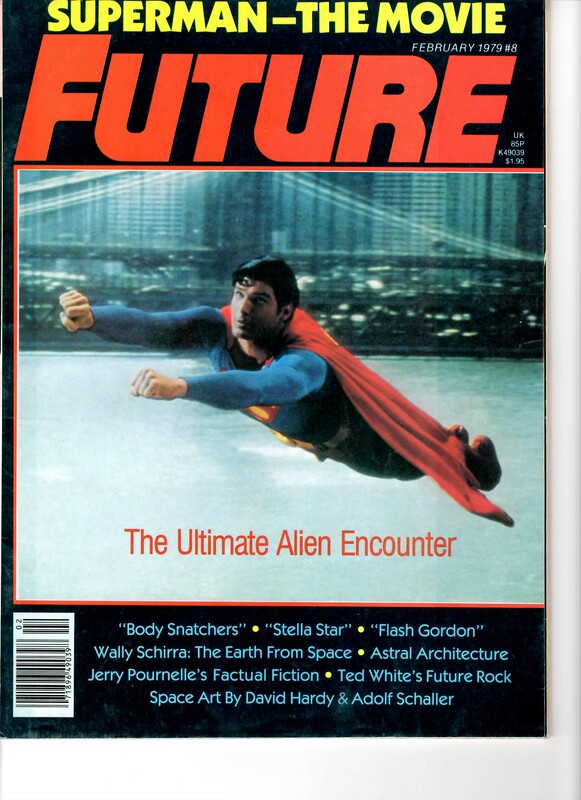 I first encountered his ideas in 1979 while watching an episode of 60 minutes when I was ten years old. 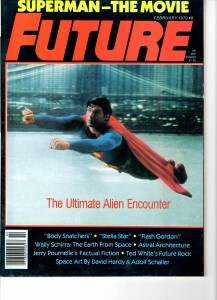 Shortly after that I came across and article about him in Future Life Magazine. 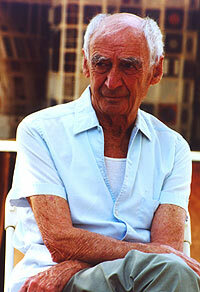 Soleri was a philosopher architect with a deeply spiritual worldview. 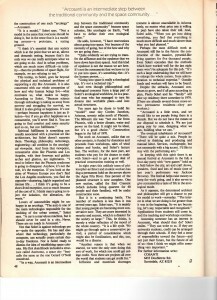 He studied briefly with Frank Lloyd Wright but soon followed his own unique path, creating the concept of an arcology, a single structure city that combines the design of architecture with the holism of ecology. His basic idea was that we didn’t need to keep building cities that sprawled all over nature but could instead build massive single structure cities that sprawled upward into the sky. 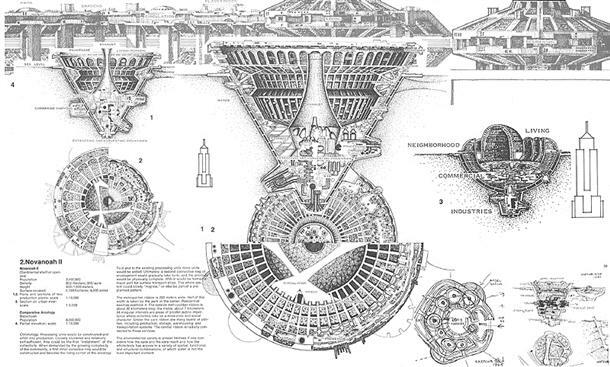 He started building an experimental example of an arcology, called Arcosanti, in 1970, in Arizona. I visited it once, many years ago. What impressed me most was that it seemed to have been brought into existence through an act of extraordinary will power on Soleri’s part. I’m curious, and a little trepidatious, to consider what might happen to the nascent town in his absence. I find his passing make me sad, not simply because his very important ideas may never find fruition, but because I was so affected, and infected, by those ideas as a young boy. Of course, I couldn’t really understand the philosophy behind those ideas when I was 10. I remember struggling to fathom Soleri’s The Omega Seed: An Eschatological Hypothesis when I read it in my 20s. It explored the underpinnings of his philosophy, deeply influenced by the writings of Pierre Teilhard De Chardin, and was not the easy read I had hoped for. The titles of his books relay their intentions. The Bridge between Matter & Spirit Is Matter Becoming Spirit is one such slender tome. 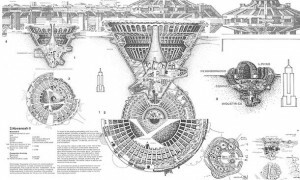 They are wonderful books for engaging the mind in deeply considering the future of humanity and of how humanity lives, but it was his books of designs for arcologies, Arcology: City in the Image of Man, that really excited my imagination. His mandala-like designs filled me with a sense of wonder and awe and hope and joy. Reading the book was like delving into some arcane volume of occult esoterica – like an architectual Voynich manuscript translated English. It is difficult to fully describe Soleri’s ideas. His writing is deep, tangled, and mercurial, but like his Jesuit inspiration, well worth the effort. The design of arcologies is structured around Tielhard de Chardin’s notion of complexification, which suggests an arrow of complexity in evolution from wider, less complex states to smaller, more complex states. Soleri writes, “If the city is an organism made of all the intricate interaction of bodies physically peripatetic and demanding, mentally diffuse and willful, then the city can only find a reasonable chance for success within the same rules disciplining any other living phenomenon: The rule of duration of complexification and miniaturization.”[i] Ken Wilber refers to this as greater depth, less span, and it finds expression everywhere in nature, from living cells to the human brain. As cultural historian William Irwin Thompson explains, “For, Soleri this process of complexification linked with minaturization is the lesson the city planner should take away from the study of nature. In evolution, simplicity is always linked to complexity; while huge dinosaurs lumber into extinction, tiny mammals chatter in the trees. Soleri would say it is much the same with our cities now. The huge megalopolitan beasts are sprawling all over the Earth… They so fill their ecological niche that they destroy it, and thus become caught in their own evolutionary dead end.”[ii] In contrast, Soleri’s designs for cities are not only Integral in their need for balance with the environment, they also explicitly explore the full range of human needs, from social connection and community, to work, play, and spirituality. 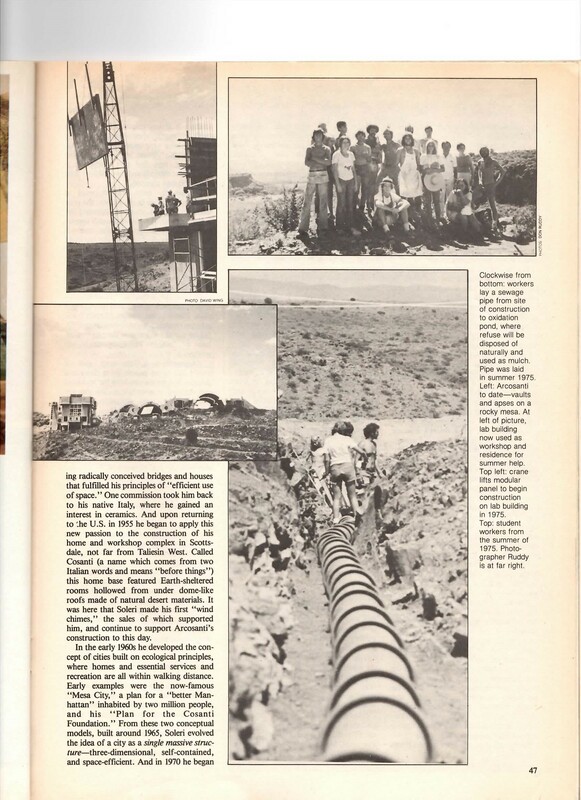 At present Arcosanti, designed for some 5000 people, is only five percent complete and has fewer than a hundred residents. The reason for this lack of progress is not due to Soleri’s micromanagement, as some critics would have it, nor to the general apathy of the public toward such a grand vision. It is rather, I believe, the result of the fact that such a centralized project is difficult to create without a great amount of centralized funding and control, such as would come from a government or an exceptionally large corporation. This problem can be resolved by appealing to decentralized techniques that are tied to a central, yet flexible, plan. There are excellent reasons for us to adopt arcologies as the model for our future cities, especially in crowded developing nations, but their physical enormity makes this nearly impossible with traditional organizational techniques. 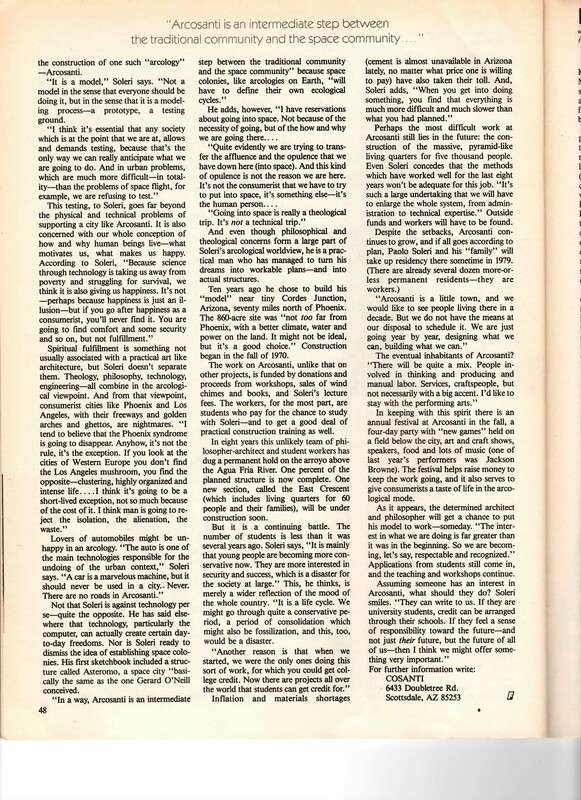 Below is article from Future Life Magazine (issue #8, February 1979) that first intrigued me. I’ve also listed some quotes from Soleri’s work. 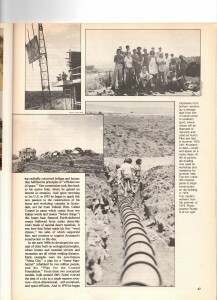 Hopefully you’ll find it all as inspiring as I some thirty five years ago.